On September 20, Golden Year 7 (2010), in Canada, Manitoba’s Agriculture Minister Stan Struthers announced new regulations in the Legislature for the Animal Care Act. The new amendment to the province’s animal cruelty law, which took effect immediately, expands licensing regulations for dog and cat breeders, kennels and pet shops, and increases maximum fines and sentences for offenders. 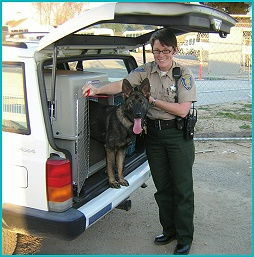 The new rules not only give animal-protection officers more power to take immediate action to prevent harm, or to seize animals they consider to be abused or abandoned, but also an expanded veterinarians’ role in animal protection by requiring them to report suspected cases of animal abuse or neglect. We thank the courageous and compassionate governments of Northern Ireland and Canada for taking a stand on behalf of the welfare of the animals. Blessed be all such legislation in protecting our cherished co-inhabitants so they may continue to grace our Earth with their presence.